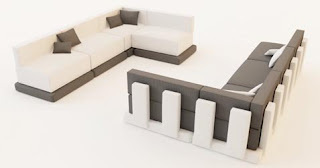 Cut Sofa is designed by Filippo Ghezzani, it has a fabulous two tone color combination and simple shape. 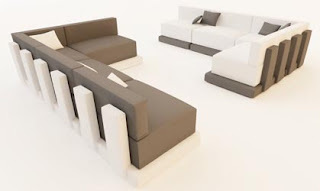 This unique sofa has several bold rectangle shape that give the cut out effects on the sofa. This sofa could add unusual look to your interior design. Filippo Ghezzani is Italian designer, he designed this sofa as a part of his project alongside with the cut armchair, cut chair and sewn chair.